Super Carl? Activist Carl Icahn has been racking up some pretty big wins in the past few weeks. Now, add Chesapeake Energy (CHK) to that list. Chesapeake Energy's stock is up more than 6% Wednesday, following the company's announcement that its controversial CEO and founder Aubrey McClendon would step down immediately and retire on April 1, 2013. Icahn was a key force behind McClendon's ouster. Early last year, investors discovered that McClendon was bankrolling his lavish lifestyle with more than $1 billion in loans from his company. The SEC has been investigating McClendon's actions. After taking a stake in the company last year, Icahn successfully pushed for an shakeup of Chesapeake's board. Yesterday, McClendon admitted that his decision stemmed from "certain philosophical differences with the new Board." The board, in turn, said that McClendon's departure wasn't due to the SEC investigation or his unique "financing arrangements." And Icahn praised McClendon in a press release. "Aubrey has every right to be proud of the company he has built." Traders on StockTwits were more cynical. 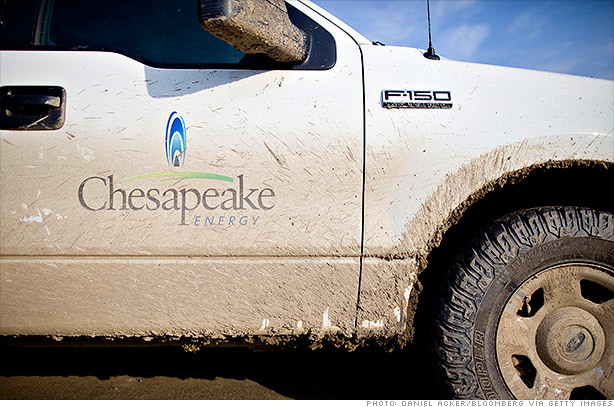 While Chesapeake's stock popped, some traders expressed continuing concern about just how reliable the company's numbers are. $CHK Think traders are playing this the wrong way. Don't trust the accounting of this company. This gap higher will be reversed. That remains to be seen. But for now, Carl Icahn's winning streak is continuing. Icahn owns 10% of Netflix (NFLX). It's up 79% this year. He holds 82% of CVR Energy (CVI), and that's up 18% this year. His 15% stake in Navistar (NAV)? That's up 21.5%in 2013. And in the past week, Icahn has been publicly pushing the offshore drilling Transocean (RIG) to issue a dividend. Its stock has soared since then, up 29% this year. Love him or hate him #carlicahn is knocking the socks of #ackman in the making $$department $NFLX $CHK $CVI etc etc. $HLF? True. It does appear that Icahn has saved up all his ire for his nemesis Bill Ackman. Carl Icahn seemed to land in the win column during his entertaining on-air duel with Ackman on CNBC last week. But it's too early to see which hedge fund manager will be right on Herbalife (HLF).